Do you have the same vehicle constantly taking up space in your parking lot? Is there a creepy van that’s always parking near your home or apartment complex that isn’t supposed to be there? 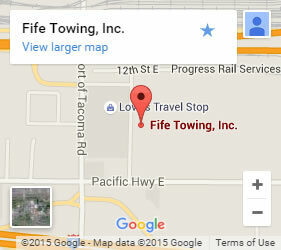 Fife Towing & Services can help. We handle all vehicle impound in Sumner to tow away unauthorized vehicles from your business or house. 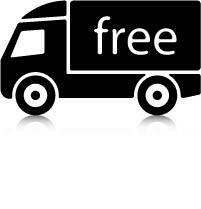 Simply give us a call and our trademark service and quick dispatch will take care of the rest. Nothing. As a property owner, if your rights are being violated, you aren’t the one that pays for our towing service. Instead, the towing cost goes to the owner of the vehicle. All of the expenses incurred as part of the process including dispatch, pick up, drop off, and paperwork, are handled by the person that parked their vehicle where it shouldn’t be. If I don’t like a vehicle, I can just call you and that’s that? It’s a little more complicated than that. If you have a private lot and the individual has no idea they aren’t allowed to park there, you can’t simply get the car impounded the second they step away from it. In order to make sure you’re within your rights, you should put up a sign on your lot in an easy-to-see location stating that any unauthorized vehicles will be towed at the owner’s expense. If you have such a sign put up, you are able to call for towing immediately if you wish and have the vehicle removed from your house or parking lot. Without anything like this posted, you must wait a minimum of 24 hours. Either way, our tow truck operators respond quickly to calls to make sure you don’t have to deal with the trespasser for long. What if it’s my car that’s towed been towed by you? See the full vehicle redemption procedure by clicking here. Check with us to confirm which lot the vehicle has been taken to. Generally, it’s the closest lot to the pickup site. 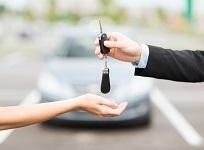 The registered owner or someone who has verified permission to operate the vehicle needs to pick up the car. Be sure to bring a valid driver’s license with you or picture ID along with a licensed driver to drive the vehicle. We don’t try to trick people to make a quick buck. When you ask us questions, we’ll give you clear, straightforward answers. That’s how we’ve stayed in business for nearly 70 years! Honesty and integrity are our core values, and we want to see you content and back on the road. For our vehicle impounding, commercial towing, or even roadside assistance, give us a call or fill out our contact form to get started!